Polycystic ovarian syndrome is a common disorder affecting many women of reproductive age. If not managed timely it results in irregular menstruation, obesity, infertility, cardiac diseases, type-2 diabetes, high blood pressure and uterine cancer. There is no specific treatment or cure for PCOS. The good news is it can be managed by dietary modifications and lifestyle changes. Most of the women suffering from this disorder show insulin resistance. So our foremost concern is to improve the sensitivity towards insulin. 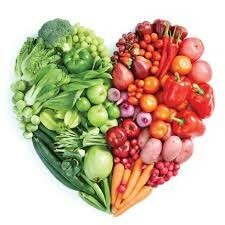 Avoid saturated fats and foods rich in cholesterol. 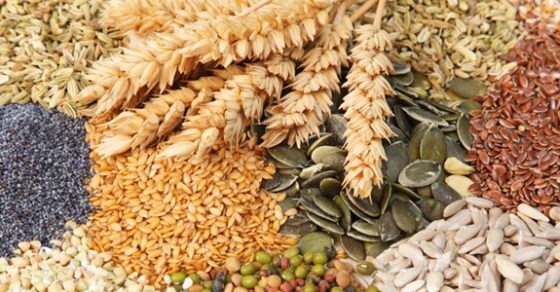 Eat foods that are low in a glycemic index such as whole grains, brown rice, and oats. Consume fresh, non-starchy vegetables that are rich in fibers and vitamins such as broccoli, carrots, spinach, bottle gourd, cucumber, cauliflower, beans, tomatoes, celery, and cauliflower. Eat fruits if they do not contain added sugar. Avoid carbonated and sugary drinks. Avoid sweetened and canned fruit juices. Soy products- Soya is known to delay ovulation so it is better to avoid them, especially if you are trying to conceive. Dairy products- A protein present in dairy products limits the processing of testosterone and raises its level which may worsen the condition. So it is better to limit the intake of dairy products. Saturated fats- Saturated fats increase the level of estrogen hormone, hinders nutrient absorption and increases weight. It is better to avoid saturated fats, which are found in dairy products and red meat. Also minus trans fats and hydrogenated fat products such as margarine and processed foods. 1. Low glycemic index Fruits- Cherries, orange, plums, grapefruits, apples, apricots, coconut, prunes, and kiwi, are rich in phytochemicals, vitamins and do not spike the level of blood sugar. 2. 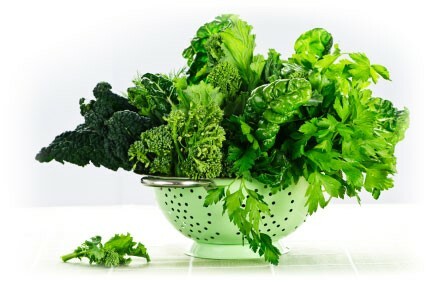 Green leafy vegetables – spinach, broccoli, kale, lettuce leaves and celery are rich in magnesium, calcium, iron, vitamin b complex, vitamin k, fibers, vitamin c and vitamin E and plays an important role in managing PCOS. 3. Healthy fats- This include foods rich in omega-3 and omega-6 fatty acids such as olive oil, fish, seafood, flax seeds, sunflower oil, and avocado. They maintain the hormonal balance, increase fertility, reduce weight and flush out the toxins. 4. Eat Grass-fed animal meat- They are lean, contains vitamin K2 and fewer hormones. They balance the level of hormones. 5. Whole grains and fiber rich foods. 6. The PCOS diet should contain approximately 1 gram protein per kg body weight. Sources of proteins are lentils, pulses, fish, egg, cottage cheese and lean meat. 7. . Foods containing chromium– Eat wheat germ, brewer’s yeast, orange juice, tomatoes black pepper, Beans, Potatoes, Raw onion. they contain chromium that encourages the formation of a glucose tolerance factor. Besides PCOS diet, 60 minutes exercise for 5 days in a week and stress management are also important to bring down insulin level. Your doctor may also prescribe vitamin-mineral, folic acid chromium and calcium supplements. Keep in mind do not skip meals, eat small meals at small intervals and drink plenty of water.